German Government officials have announced their intention to purchase information regarding 1 500 German nationals who allegedly hold undisclosed wealth in Swiss offshore accounts, which could net the Government an approximated €100 million in tax revenues and penalties. The German Government has disclosed that it has been offered information by an anonymous informant regarding numerous German nationals allegedly holding undisclosed wealth in Swiss bank accounts. In a statement made on February 1st German Chancellor Angela Merkel stated that the Government should do everything within its power to obtain this data, on the condition that it is proven relevant to its fight on tax evasion. The stance has set Germany at heads with Switzerland, whose Government issued a counter statement saying that the move would constitute a breach of good faith between the nations and a gross violation of client confidentiality. Further, it has been made clear by the Swiss Government that it will not provide any administrative support if Germany proceeds with the decision. Wolfgang Schäuble, Finance Minister of Germany, has declared that his department wishes to proceed with the acquisition, though he has displayed much greater levels of caution. In a statement on the same day he disclosed that the informant would be paid €2.5 million for the information, as long as the deal could proceed without breaching any legal statutes. 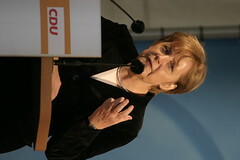 Statements by the German Finance Minister indicated that the Government believes to hold a legal precedent under which it could pursue the data purchase, following several international court’s decisions to uphold a similar purchase of stolen information regarding Liechtenstein bank accounts by the German Government in 2007.